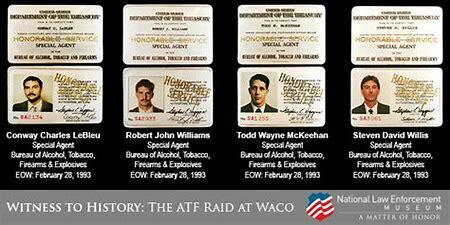 Federal credentials of ATF Special Agents Conway LeBleu, Robert Williams, Todd McKeehan, and Steven Willis. 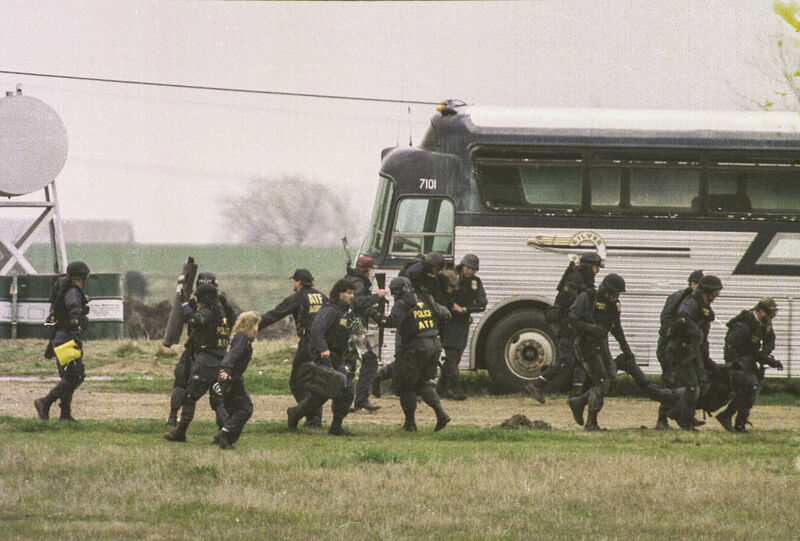 Federal credentials of ATF Special Agents Conway LeBleu, Robert Williams, Todd McKeehan, and Steven Willis; who were killed in the line of duty during Operation Trojan Horse. 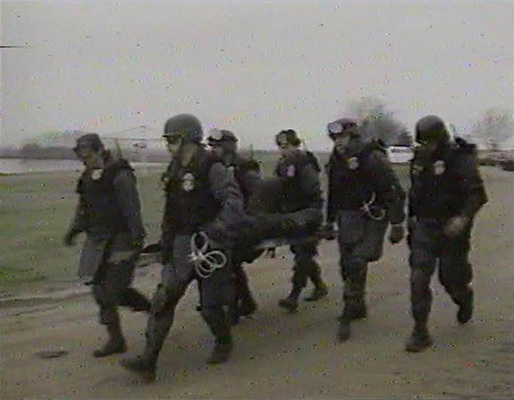 Six ATF special agents carrying a wounded team member. 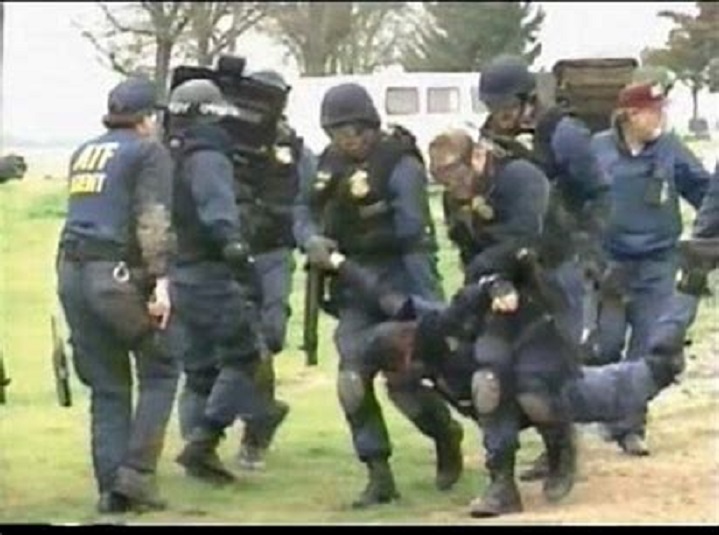 Six ATF special agents carrying a wounded team member to receive medical attention. 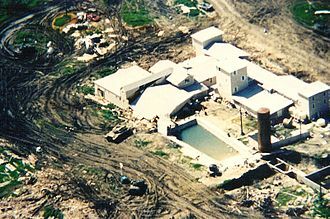 An aerial view of the Mount Carmel compound. 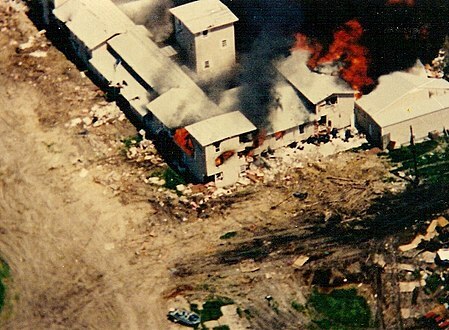 Aerial view of the Mount Carmel compound with smoke coming out of the windows. 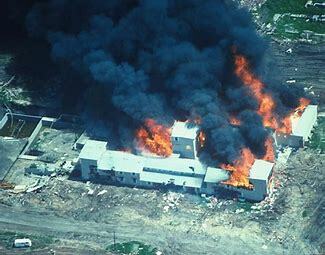 Aerial view of Mount Carmel compound on fire. 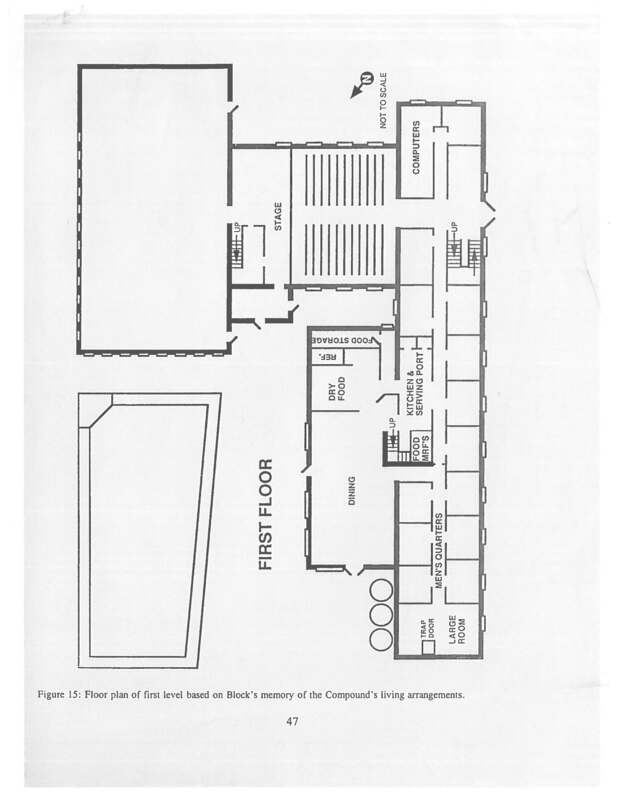 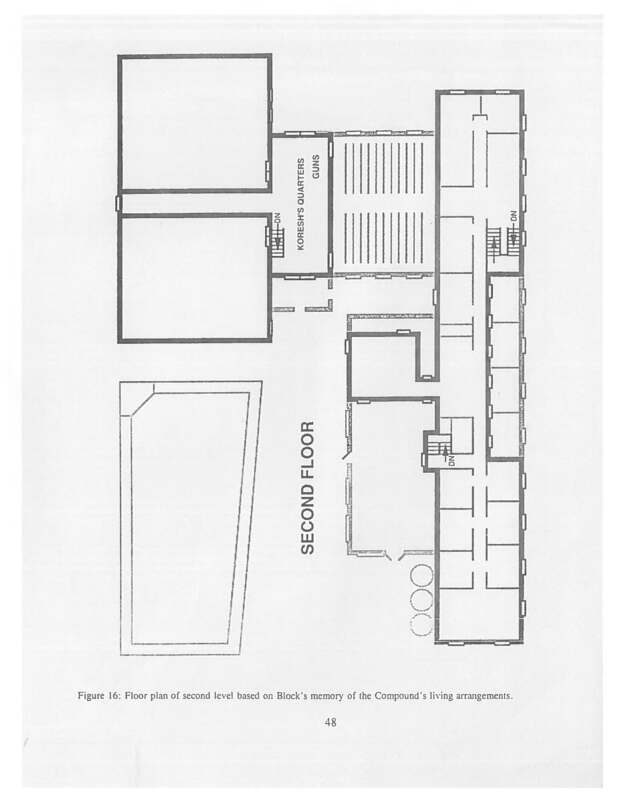 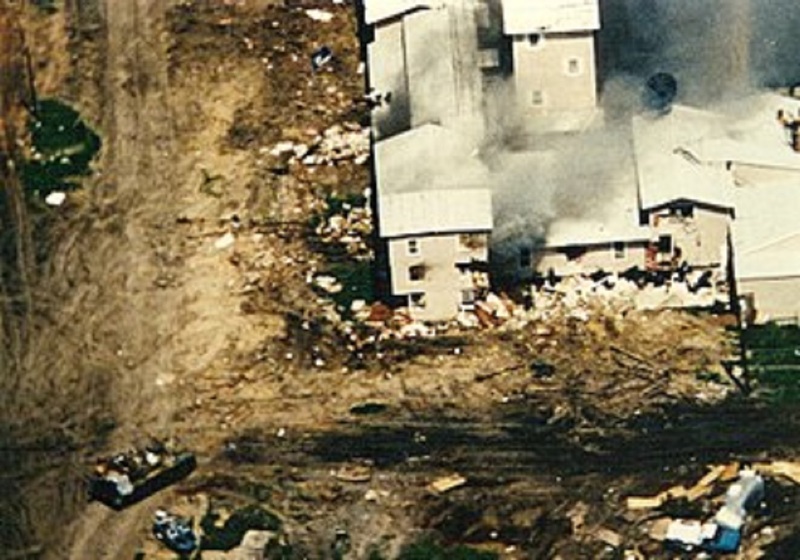 Aerial view of the Mount Carmel compound devestated by the fire. 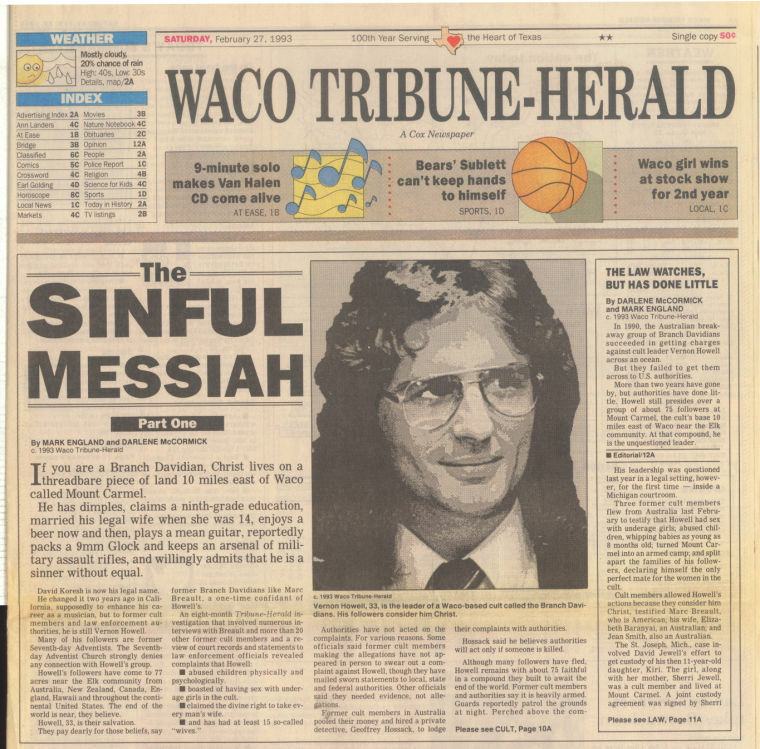 Waco Tribune-Herald article "The Sinful Messiah"
Part one of the Waco Tribune-Herald news series "The Sinful Messiah." 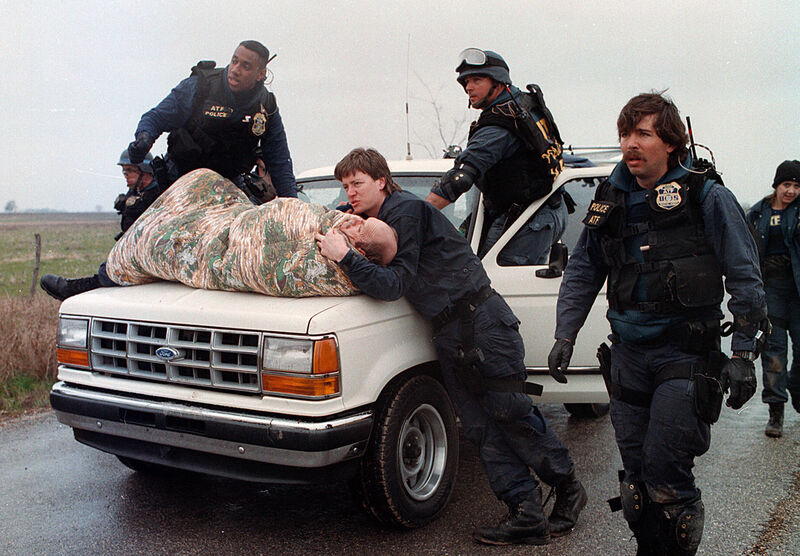 A wounded ATF special agent being transported on the hood of a pick-up truck to receive medical attention. 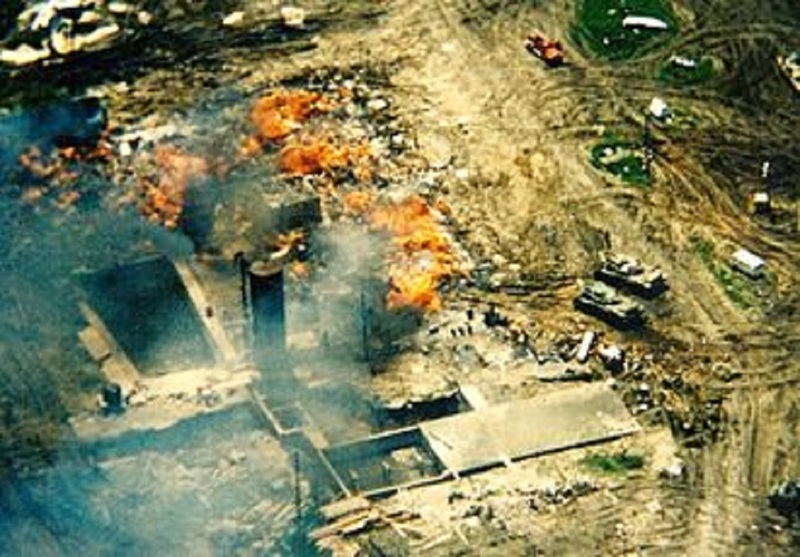 Aerial view of the Mount Carmel compound engulfed in flames. 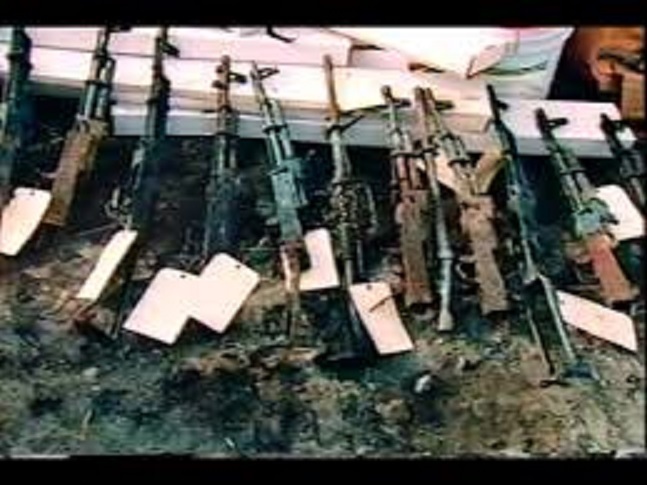 Firearms retrieved from the Mount Carmel compound and tagged as evidence. 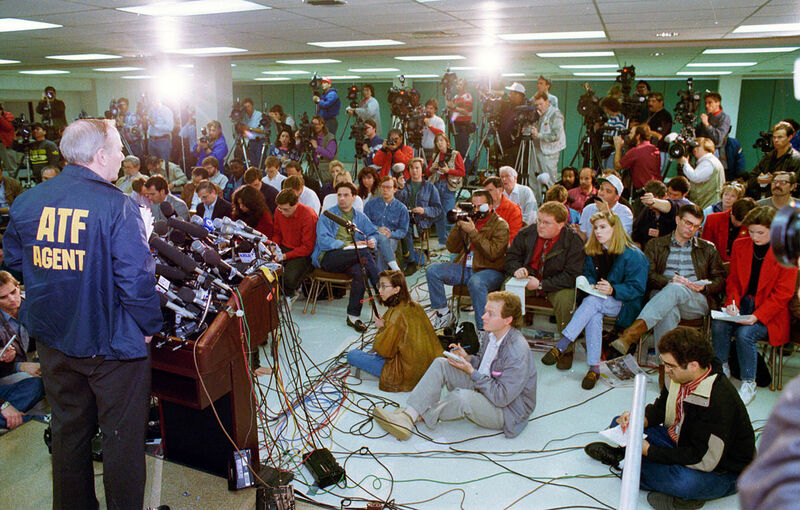 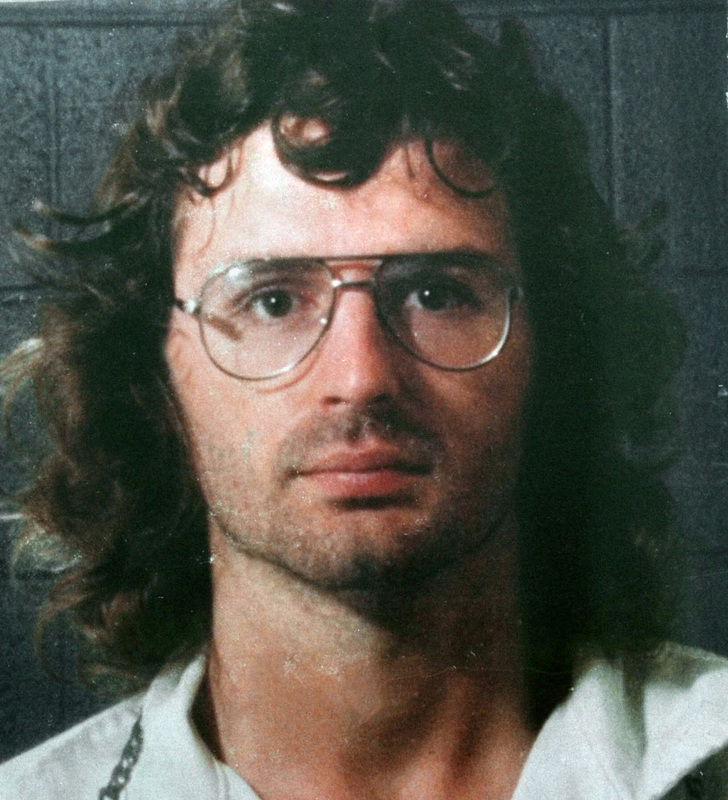 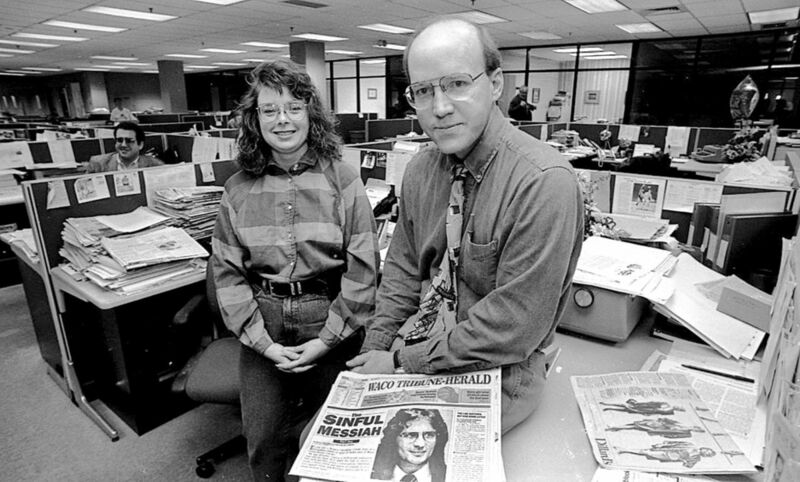 Photograph of David Koresh (aka: Vernon Howell). 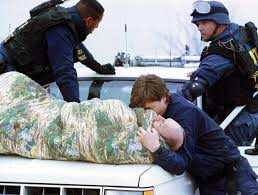 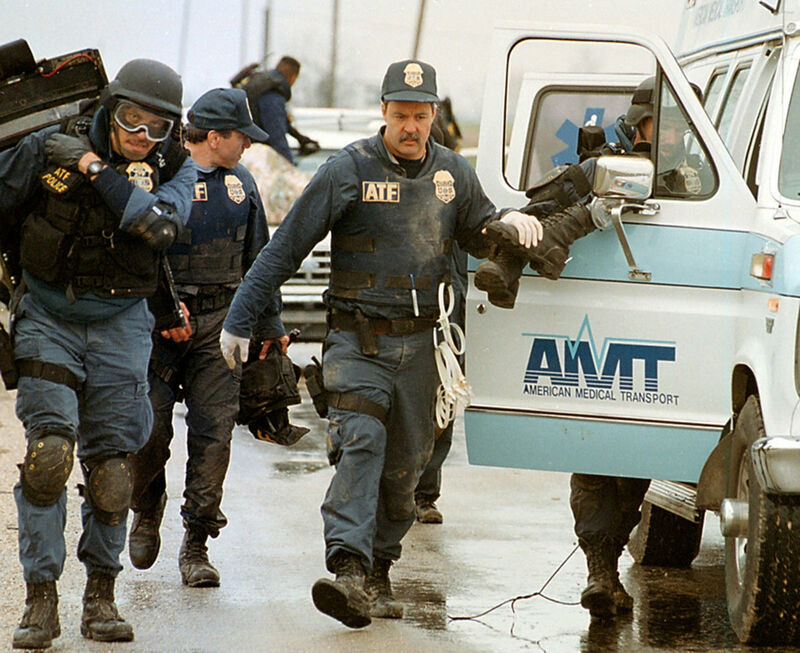 Four ATF agents move an injured agent to receive medical attention. 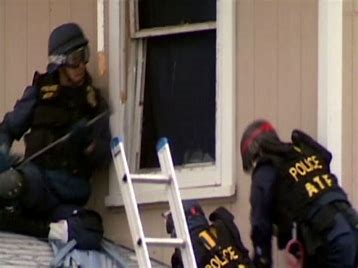 ATF agents attempting to enter a compound building through a window.